The Input Impedance of this module is very high and is symmetric. This circuit can be used for strain gauges and for four wire measurements. If inputs are in mV use OP07. The merit is that it uses only 2 OpAmps yet has high differential Input Impedance. 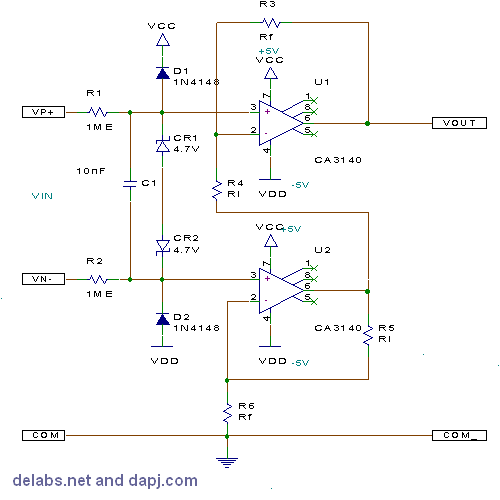 Above page has the Interactive Tutorials using Virtual Electronic Components of this example. 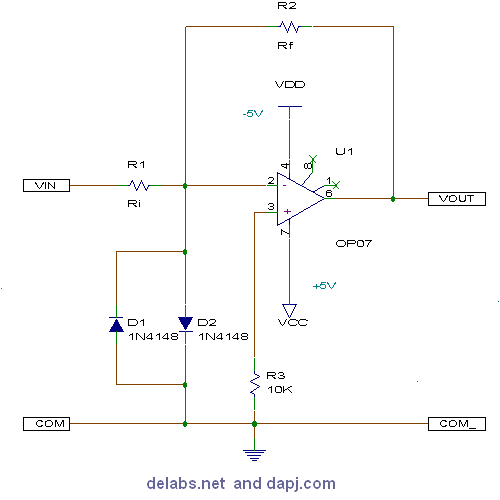 Differential Amplifier using only Two Op-Amps, Interactive Tutorial Gadget. Instrumentation Amplifier. This is used in the front end of Signal Conditioners for Load, Strain and Pressure Measurement. High Z and Gain, Easy to configure Zero and Span. The Outputs of Opamps are low impedance but still have limits they cannot drive more than a few mA of Current into the Load. 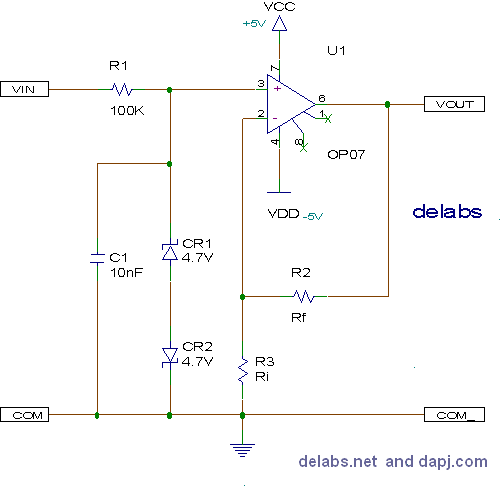 If low ohmic value loads are to be applied use external transistors as amplifiers. If inputs Vn-Vp are floating Outputs may be random or Oscillating, it is good to have a bias network of 10M resistors to a potential even zero or COM this enables Vout when input floats.